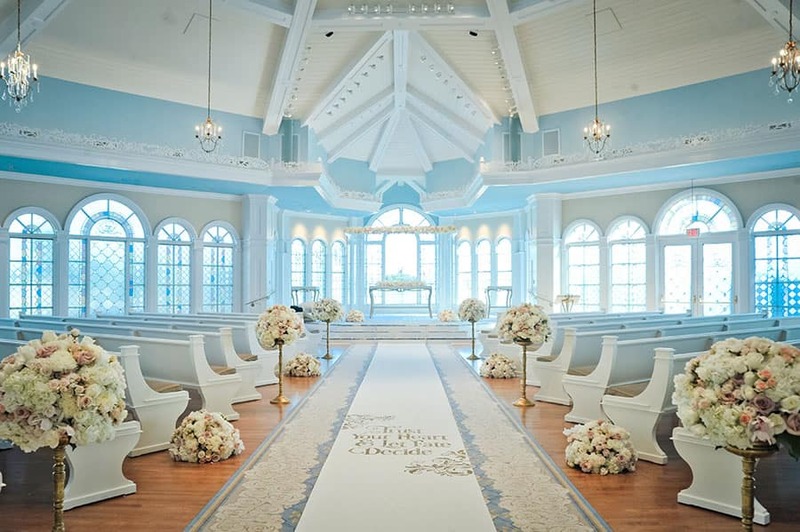 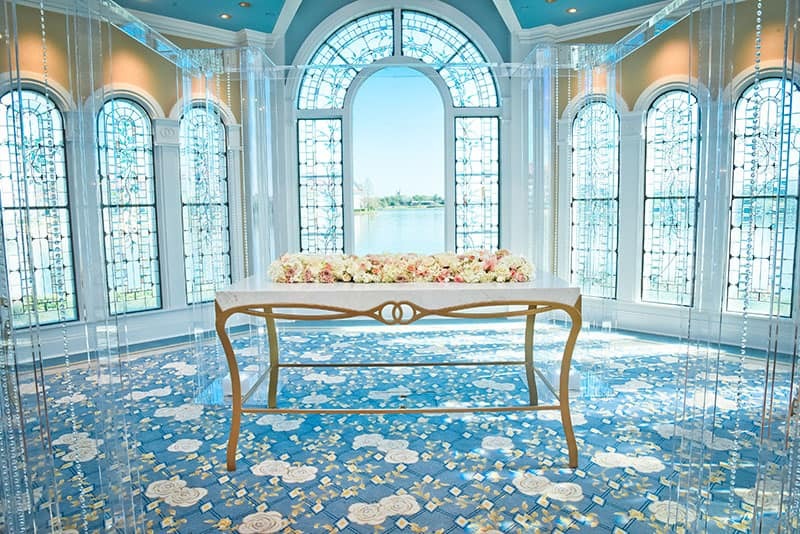 This week are showing off three different decor looks in Disney's Wedding Pavilion! 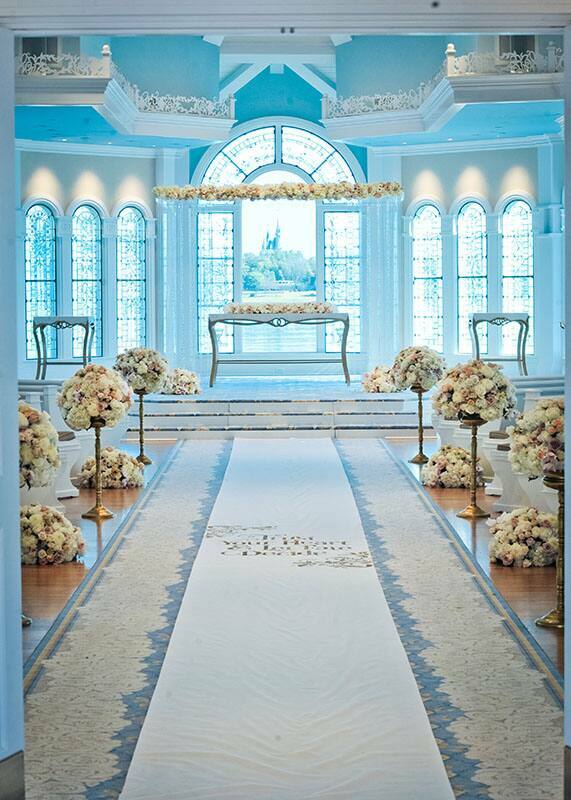 Plus up your ceremony with a few elements or go all out. 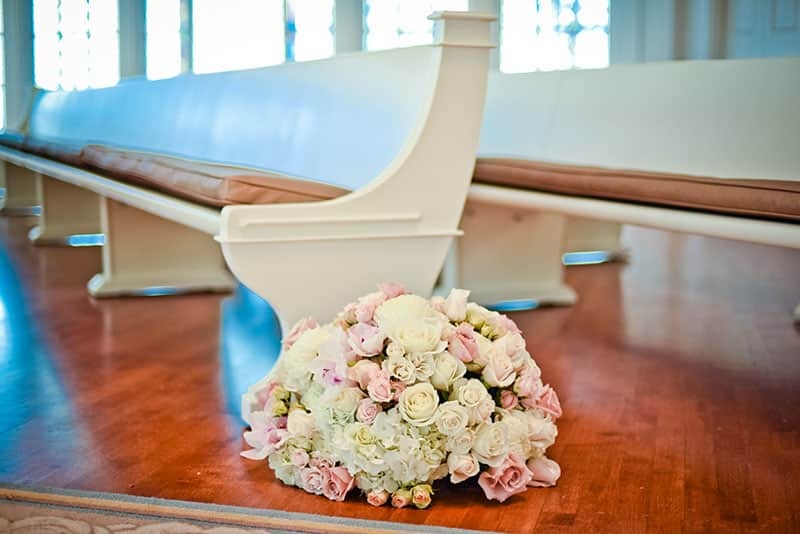 Maybe you want the floral from this look and the altar decor from another - you are free to mix and match as you please. 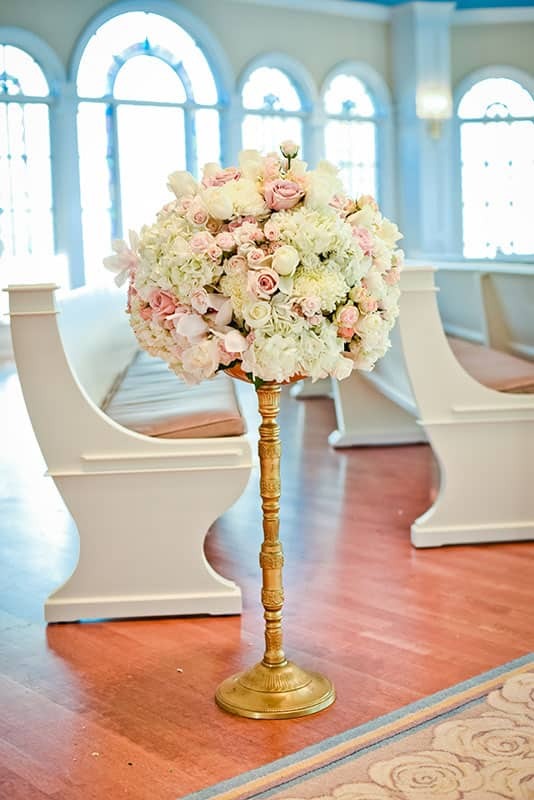 This look is all about subtle "elegance." 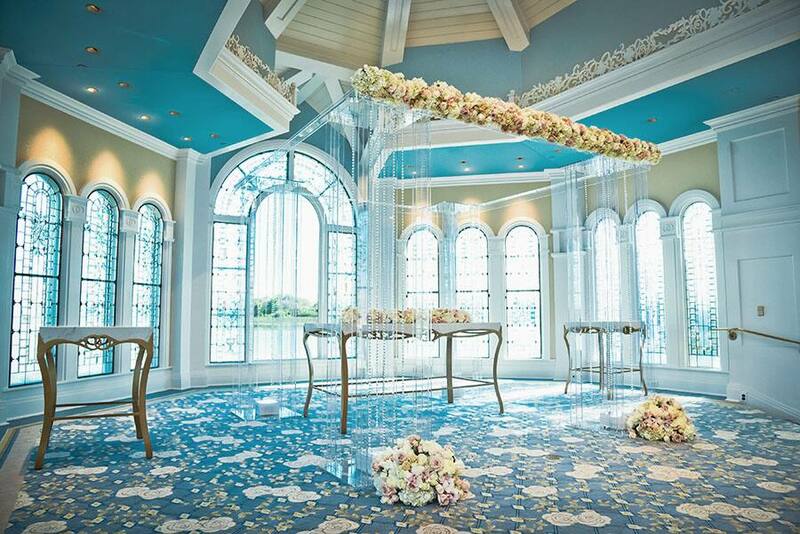 The space is positively radiant with these decor additions. 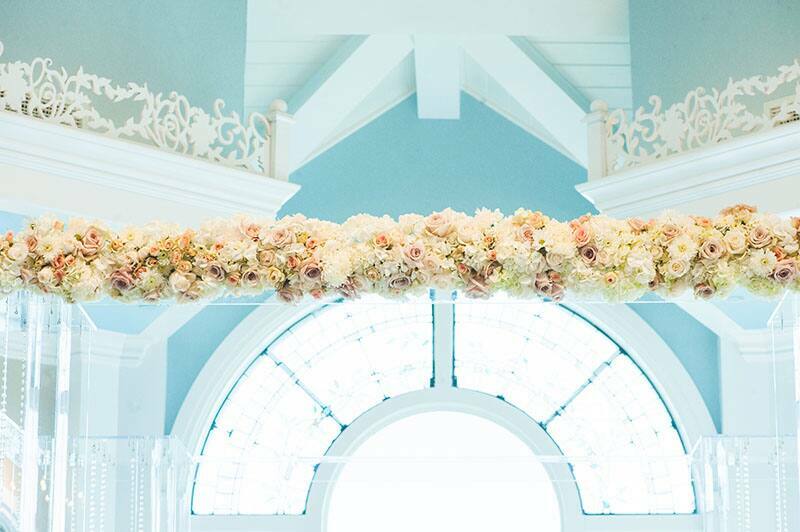 The clear acrylic arch at the end of the aisle is topped with a beautiful floral garland. 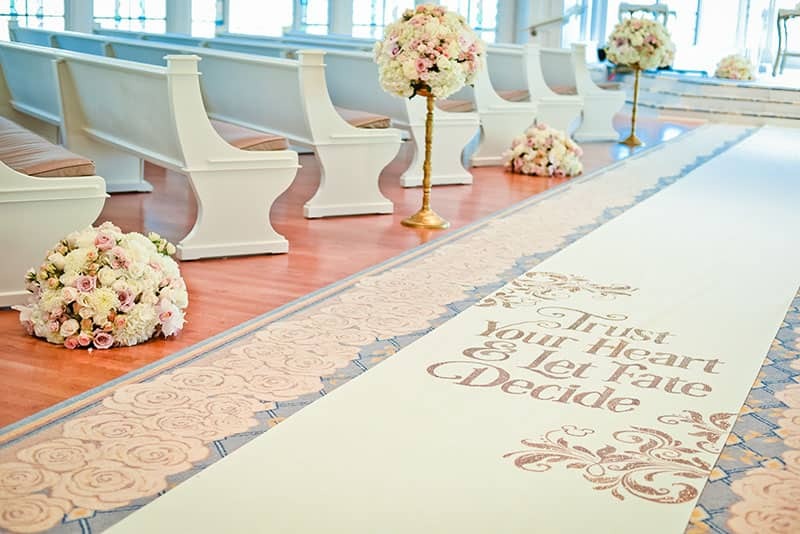 The aisle runner features a romantic quote from Tarzan while the entire aisle is lined with neutral arrangements. 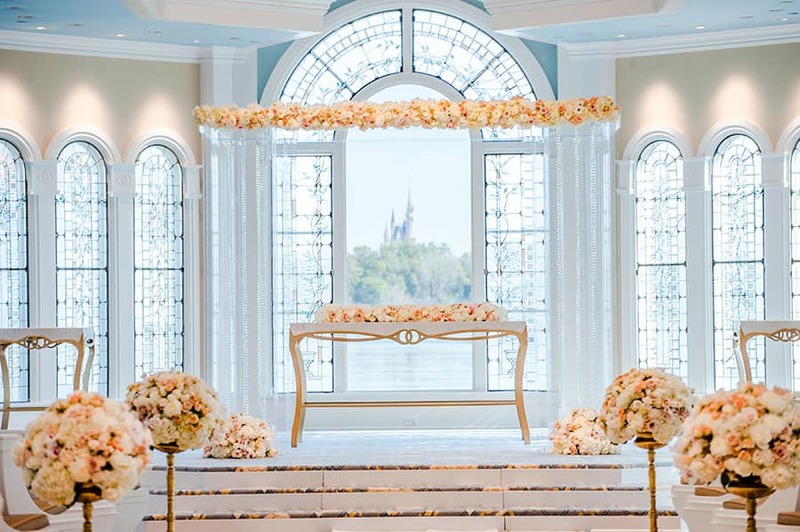 Through the stained glass window at the end is Cinderella Castle - it's tough to find a more magical place to say "I Do!"